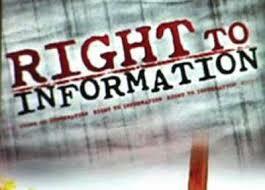 As Sri Lanka Cabinet clears RTI Bill, civil society consultation reveals information commission has "no teeth"
Following the footsteps of India, the Sri Lankan Cabinet has approved a Draft Right to Information (RTI) Bill for tabling in Parliament. While welcoming the development, the Commonwealth Human Rights Initiative (CHRI) in its preliminary analysis has said that the proposed RTI Commission in the Bill is virtually toothless with no power to impose any sanctions on anybody for non‐compliance. An RTI consultation organized by CHRI in alliance with International Centre for Ethnic Studies, Colombo, on December 3-4, 2015, which brought RTI practitioners and experts from all over South Asia and Australia, saw interaction with Sri Lankan civil society and media representatives, functionaries of the Attorney General's Office and various statutory authorities such as the Law Commission and the Press Complaints Commission. Among those who participated included Bangladesh’s Dr Shamsul Bari, chair, Transparency Advisory Group, South Asia and Research Initiatives, Bangladesh; Nepal’sTanka Aryal, executive director, Citizens' Campaign for RTI; Maldives’ Hamid Mohammed Thoriq of Transparency Maldives; Wajahat Habibullah, former Chief Information Commissioner, Central Information Commission, India, and Chair, CHRI; Shailesh Gandhi, former Central Information Commissioner. “Also participated in the consultation was Prof Kalim Ullah, Information Commissioner, RTI Commission, Khyber Pakhtunkhwa, Pakistan, who shared with participants the design of their RTI laws and the manner of their use and implementation till date”, Nayak said. “Prof Rick Snell, acting dean and head of school, Law Faculty, University of Tasmania resourced the workshop explaining best practices and challenges to the implementation of freedom of information (FOI) laws in advanced jurisdictions like Australia, New Zealand, Canada and the United Kingdom”, he added. “Participants highlighted the need for spreading awareness about the contents of the Draft RTI Bill to enable people all over Sri Lanka to debate it in an informed manner and give their suggestions to the government and their elected representatives for strengthening the Draft Bill before it is approved by Parliament”, Nayak said.